Railroad tracks remain unmoved, serve as backdrop for center field and soccer goal. (“Railhawks” takes on a new meaning)! Single stadium provides for both baseball and MLS while fitting nicely into the footprint. -Dual-purpose stadium provides building funds from two teams instead of one. I’ve measured, and both fields are regulation size. The soccer field is exactly the same dimensions as WMSP. Multi-modal transit station–train and bus–serving stadium, Red Hat Amp, Convention Center, DECPA, and plaza. Baseball stadium is inspired by an amalgamation of other parks: “Boxy” shape (Citizens Bank Park, Philadelphia), sweeping outfield upper decks (Polo Grounds, NYC), home plate rotunda (Ebbets Field, Brooklyn), rooftop stands beyond tracks (Wrigley Field, Chicago). Above CF/goal wall will be the tracks. Above and behind the tracks will be restaurants/bars with porch seating. On top of those restaurants/bars is stadium seating a la Wrigley Field. Field itself could be artificial turf, as well as the dirt areas. Artificial infields are becoming popular in newer baseball parks (WFU, Duke, Holly Springs), and would make for easy transitioning between sports. Backstop netting would also protect spectators from kicked soccer balls. 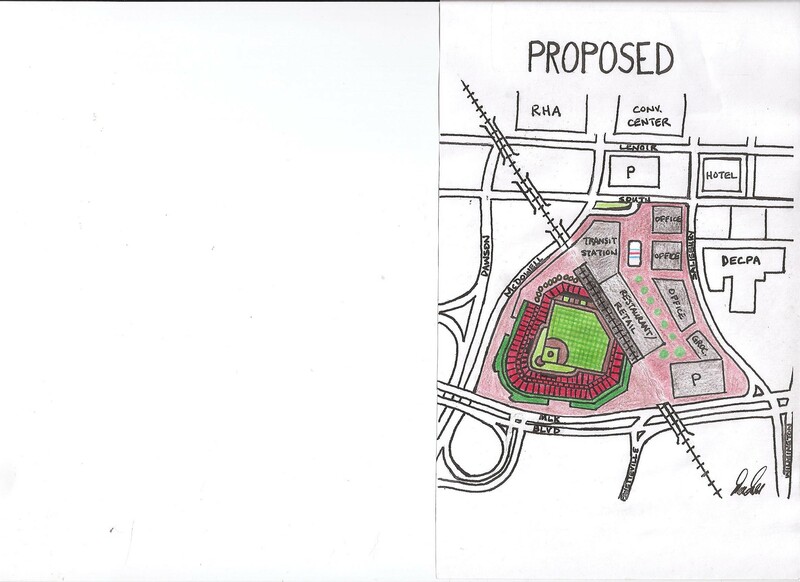 -Outfield plaza features office and apartment high-rises, restaurants/bars, grocery, retail, and yes, the displaced rink!! 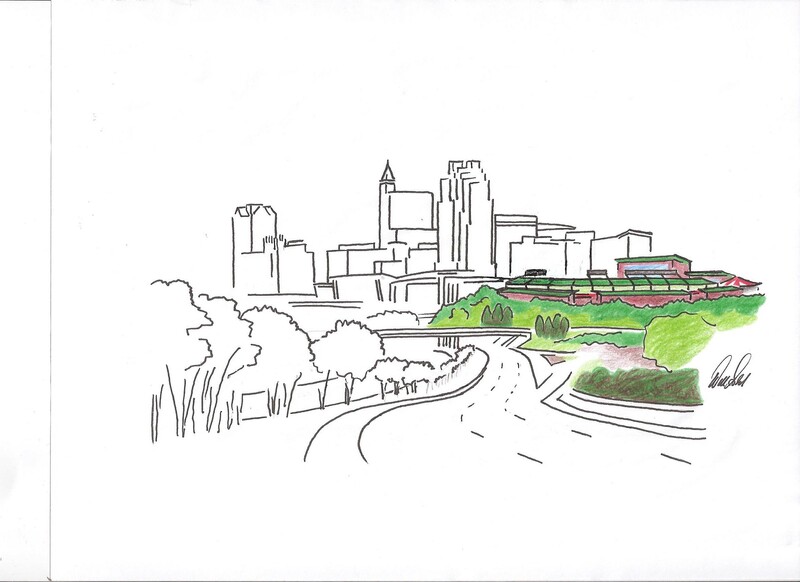 New transit station @ South and McDowell to serve the ballpark, the convention center, RHA, DECPA, new hotels. Parking at Union Station or Dillon with some kind of “tram” shuttle service from Union Station to new transit station. 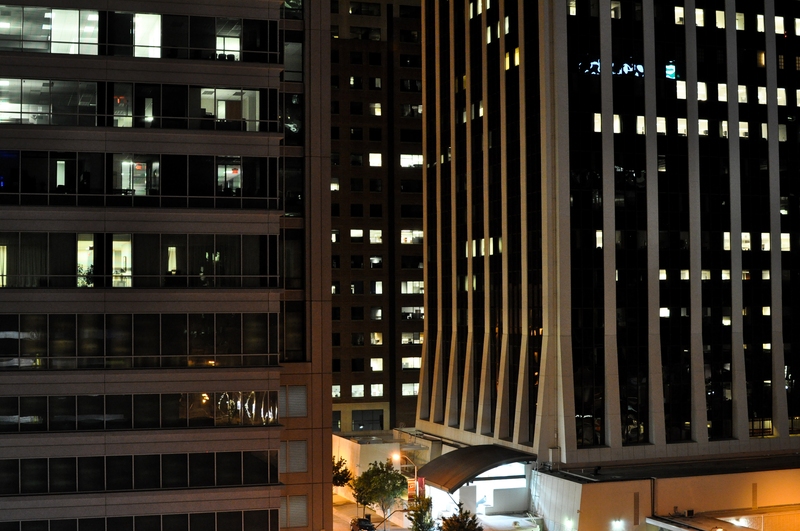 Utilization of other existing nearby decks a la DBAP in Durham. 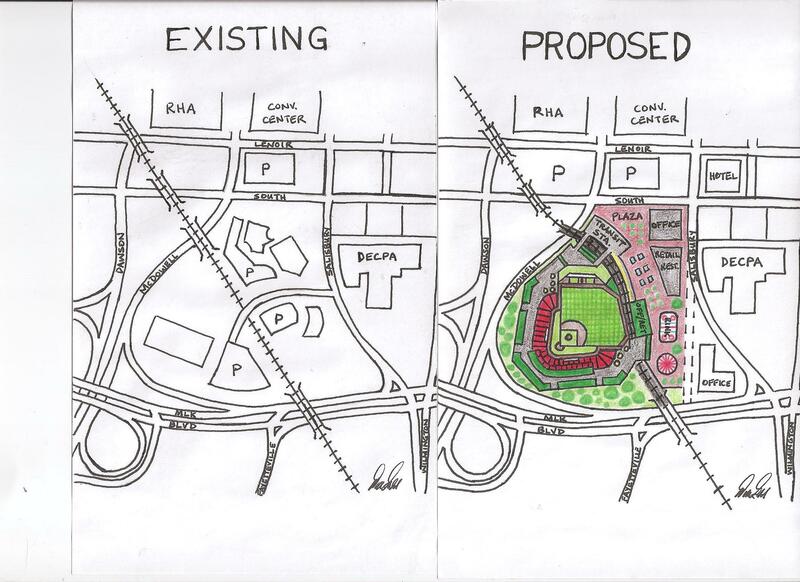 Ballpark (capacity 6,000 – 7,000?) 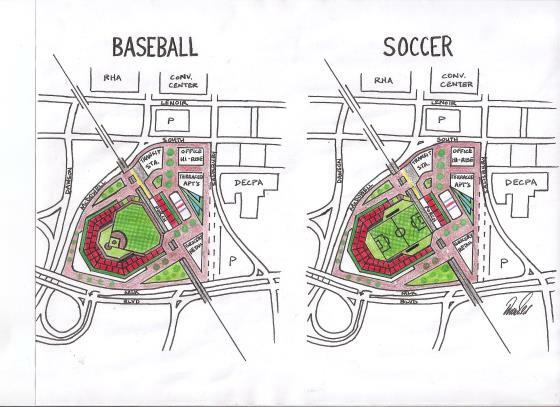 is drawn to same scale as other minor league parks, so it would fit here. 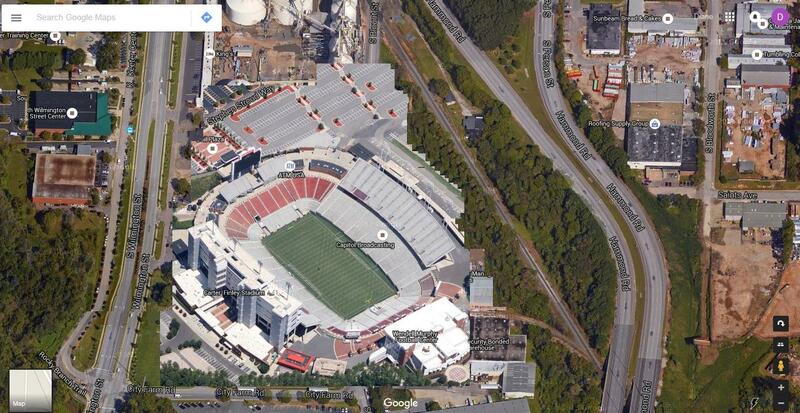 It would, however, be “cozy” to fit in existing footprint and maximize fan proximity to field and players. Grandstands wrap the infield, large patio area down 3rd base line, upper deck luxury boxes would wrap 1st base line for best skyline views. Grass berm behind left field bullpens enhance fan access (HR balls, close to warming relief pitchers). 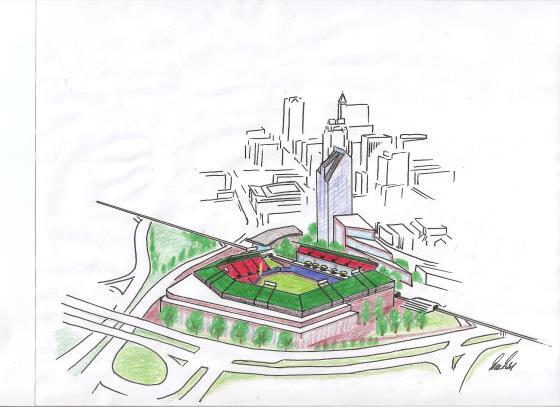 Outfield plaza would be zoned for restaurant/bar, retail, office (for those offices that would be displaced), and would include other family attractions: ground-based fountains, carousel, and the wintertime skating rink that will be displaced by Charter Square North. 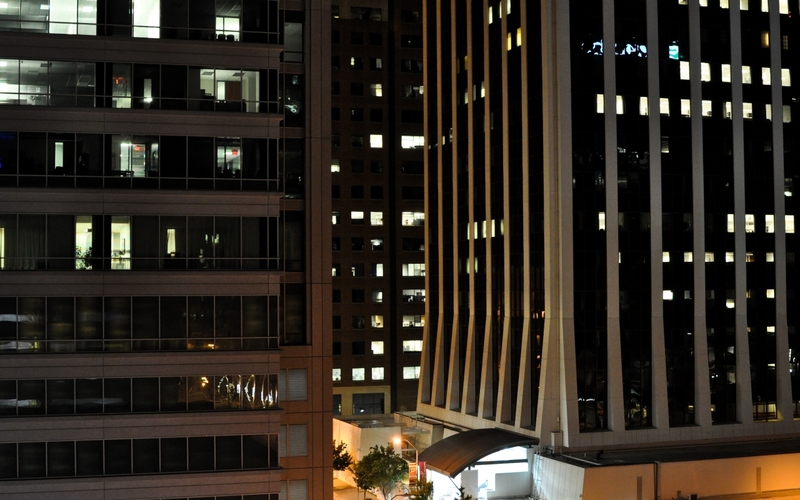 City’s desired extension of Salisbury St. could still be achieved. 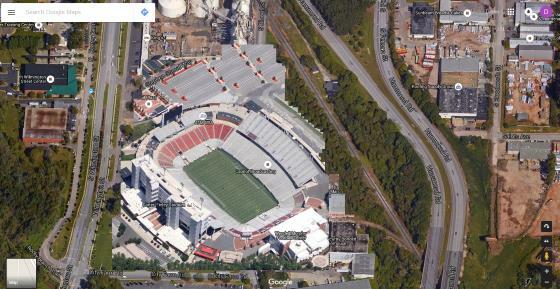 -Stadium was moved toward the SW, allowing for the tracks to remain unmoved. -Stadium was expanded to show what a MLB park might look like in this space. -I removed the MLK-McDowell on-ramp to make room. Traffic would be re-routed in the following way: westbound MLK traffic wishing to go north on McDowell would instead turn left at the existing light onto the existing ramp, wrapping under the MLK overpass. You see the same configuration in Cary where westbound Walnut St. traffic turns left onto a ramp to enter US-1 north. 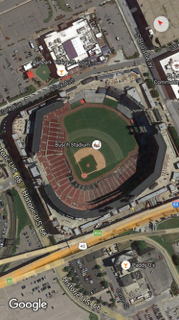 -The “home plate” corner would be snug against the MLK/McDowell intersection, a la the new Busch Stadium configuration in St. Louis (picture below). -Plaza enlarged, more retail, restaurants, new parking deck, and a grocery store. There has been plenty of conversation about a variety of topics lately and I try and group them together to relevant posts on the blog. For this week, I’m throwing up an anything goes post as we wind down to the end of the year. 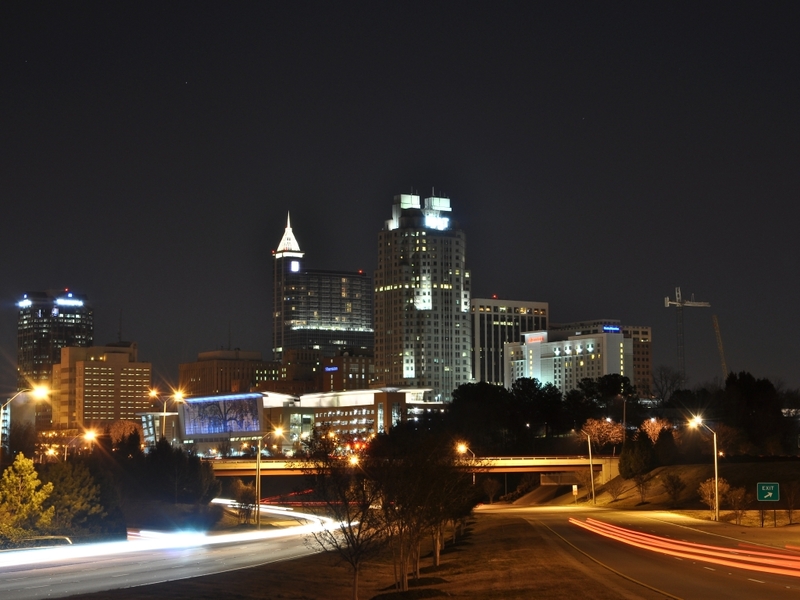 You know the year is almost over in Raleigh when…..
Embedded and linked above, you can listen to my interview on “This is Raleigh”, a show hosted by Ben McNeely that plays on Little Raleigh Radio. 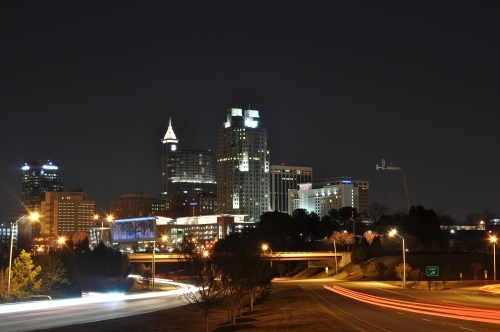 I enjoyed talking to Ben about transit, parking, and this blog. Make sure to follow the show going forward. 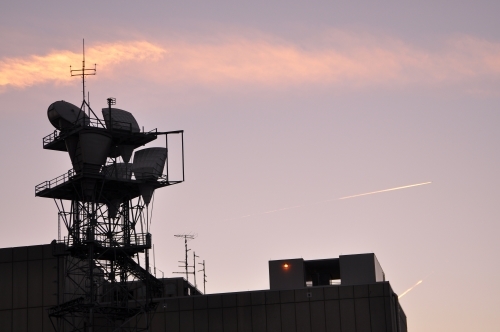 Speaking of radio, Little Raleigh Radio has started streaming their feed online while they wait for a chance to create a low-power FM signal. Make sure to give them a try and see if there’s something that interests you. If you have a smartphone, the feed can be added using some helpful apps. For iOS devices, give FStream a try. I’m using ServeStream on my Android phone and the feed comes in just fine. Here are two links to get their stream, whether it’s in a phone app or your browser. Blogging has been slow but work continues behind the scenes on a new project for the website. This I hope to share within a few weeks and hopefully gets the ball rolling. In the mean time, here’s a topic for everyone to discuss over the weekend. 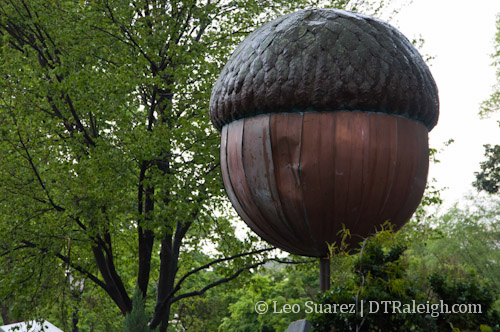 If you didn’t know already, the acorn in Moore Square was damaged during the tornadoes in April 2011. A few weeks ago, the council approved some money to repair it so that it could be used at First Night, downtown’s New Year’s Eve party. Could it actually have been a good idea to leave the damage in the acorn as a way to remember the tornadoes of 2011? After the trees in the cemeteries are finally cleaned up, the acorn would have been the last thing to remember this event by. One city councilor was thinking about this back then. 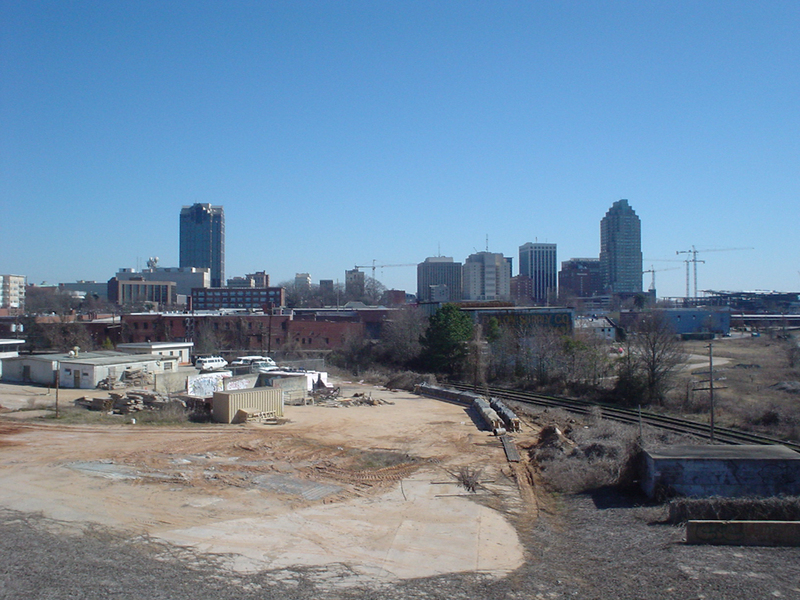 The Raleigh skyline from the Boylan Bridge in February 2007. 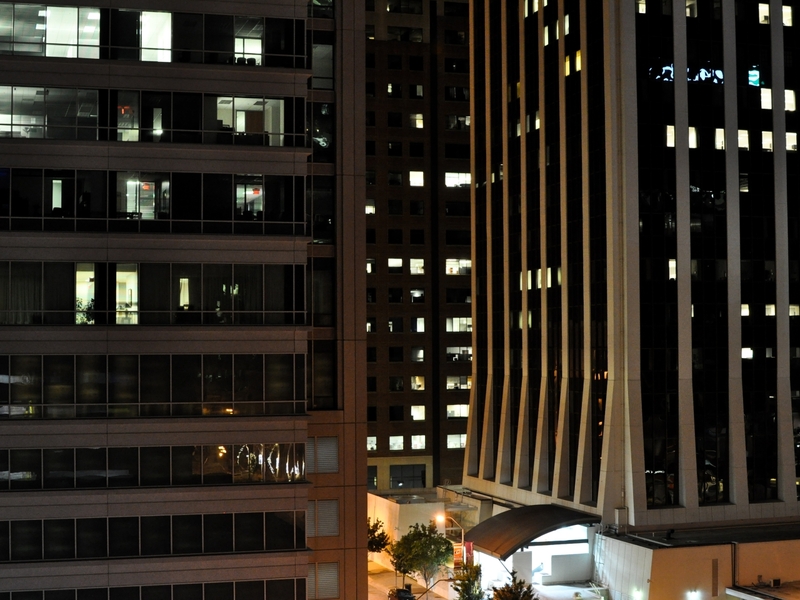 RBC Plaza may be the tallest structure in Raleigh but RalCon has it beat with age and wisdom. 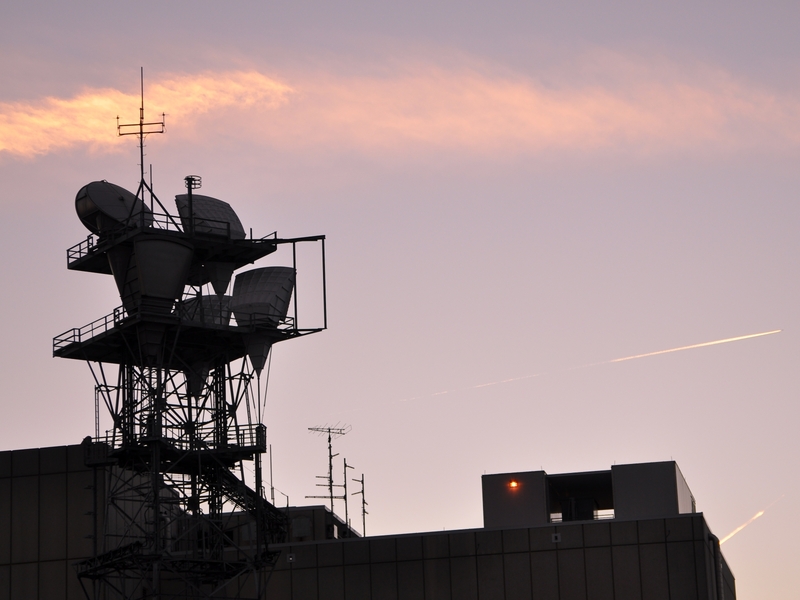 Today four years ago, this blog started and has been steady ever since. 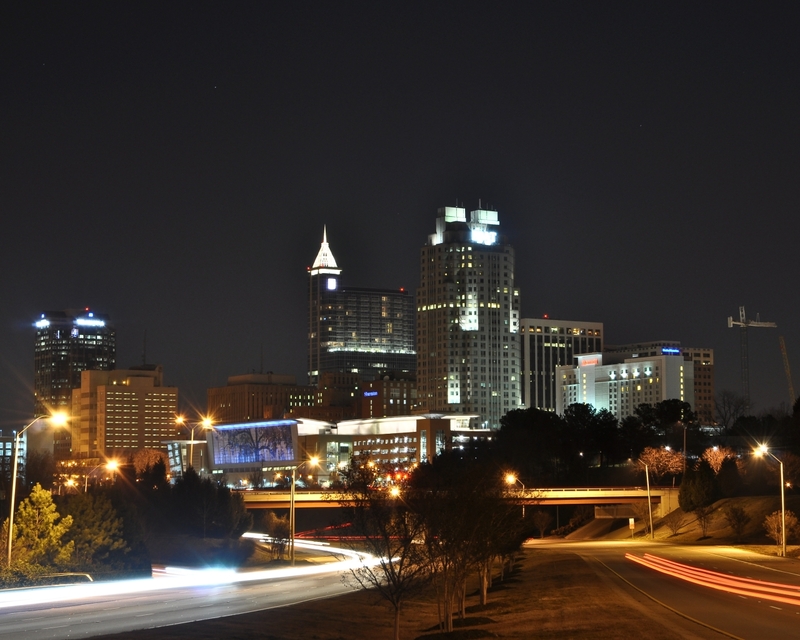 Downtown Raleigh has plenty of stuff going on and those paying attention should know that there is always something to talk about. My biggest disappointment is not having enough time to really take this blog further and carry out my ideas. Slowly, it will all happen. The support of the blog has been great and I want to thank every reader for following. 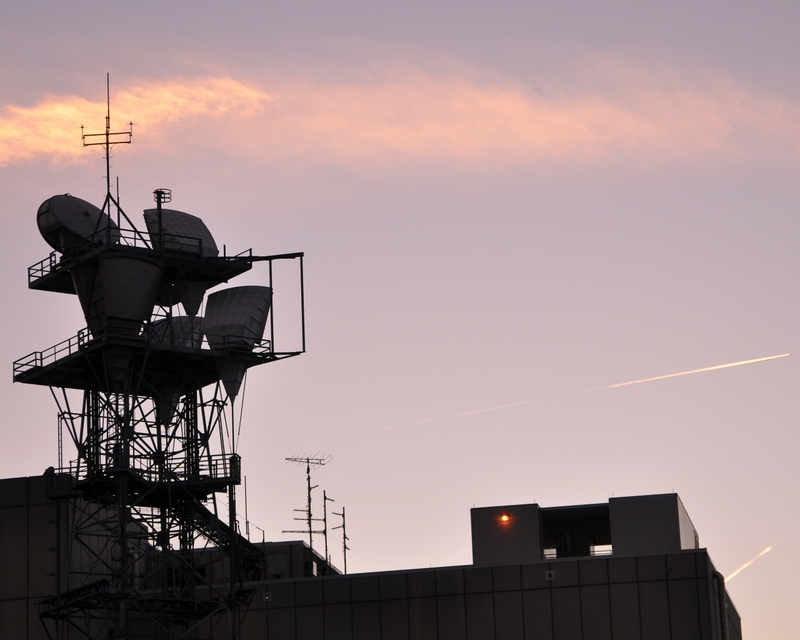 The blog generates no money and there are no plans for ever monetizing it through advertising. For those interested, I’d like to share some visitor statistics. I seldom get e-mails with questions or comments for me and “my authors”. It is funny to me that some think there is a crew behind the website but let me assure you that this is a one man show. If you are interested in contributing however, get in contact with me and we can work something out. As long as your writing is relevant to downtown Raleigh, there is room for it on RalCon. In 2011, my goal is to push the RSS subscribers up past the 1000 mark, even with my modest personality and no desire to market this thing. 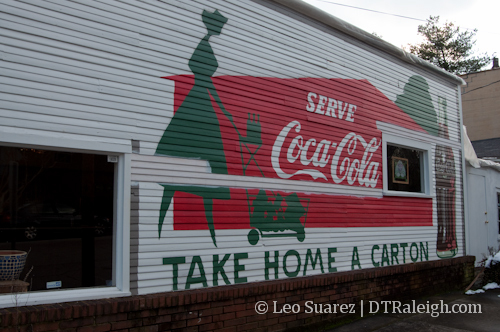 Old Coke by dtraleigh, on Flickr taken on October 11th, 2007. Click for larger. Taken on February 13th, 2010. I had taken a picture of this Coca-Cola ad on one of the walls along Lane Street back in 2007. I now have the touched up version. Which do you prefer? RalConniversary: 3 Photos, With Wallpaper! 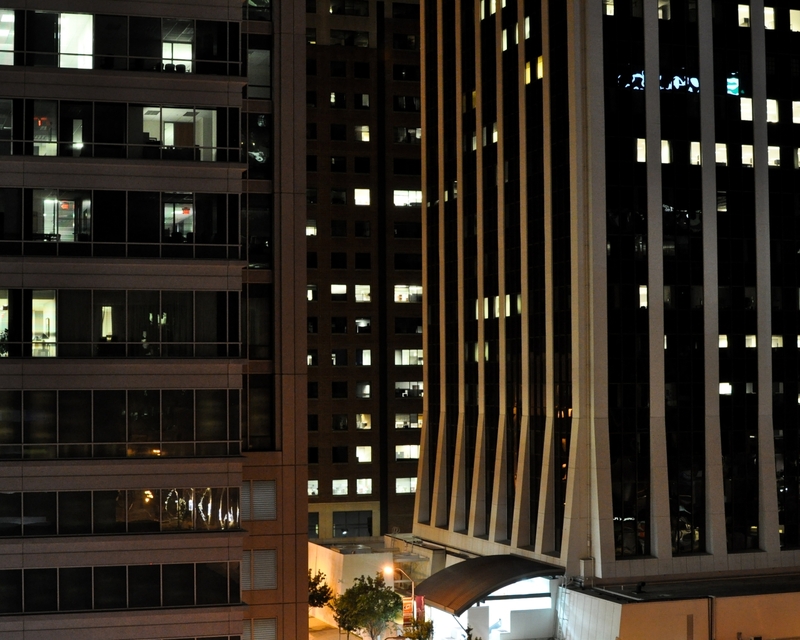 While not necessarily the best photos that have appeared on the blog, these three make for great desktop wallpaper. I’ve used them myself and now want to share them. I’ve included multiple versions of the most common screen resolutions used by readers of RalCon, gathered by the power of analytics, as well as the original version if anyone would like to play with it. Enjoy! You are free to do what you want with the images at a personal level. 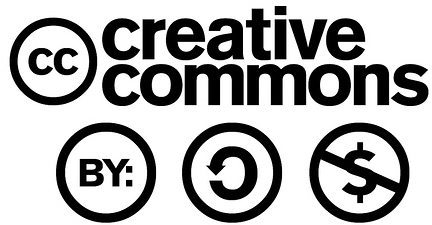 Please respect my Creative Commons license (non-commercial, attribution) if using them on the web. Thanks. Click on the photo for a larger preview.